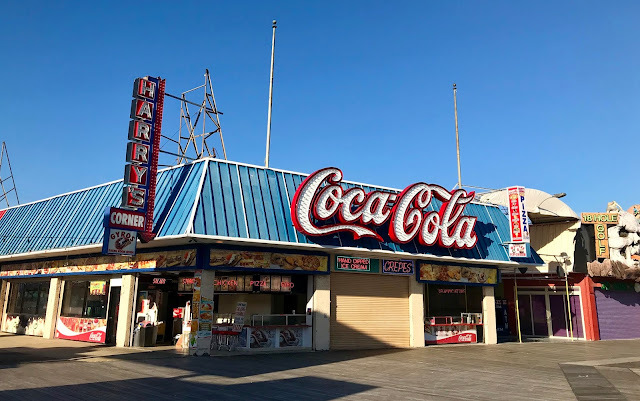 In early January, we reported that A Taste of Philly would be moving into the now-former location of Harry's Corner, on the Boardwalk at Cedar Avenue. Today, we received confirmation from the owners of A Taste of Philly that these plans have changed. The 2,600-square foot property has again been listed for rent. We will continue to keep an eye on this spot, undoubtedly one of the most prominent on the island. Meanwhile, A Taste of Philly is actively searching for another location on the Boardwalk, as the owners still hope to make their Wildwood debut in 2019. Check out A Taste of Philly on Facebook for additional updates and info.